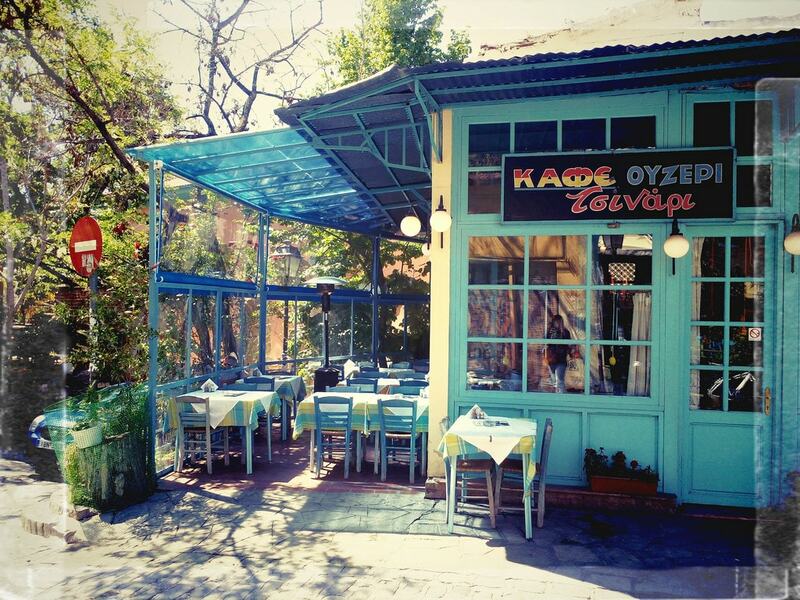 Beautiful and complex, Thessaloniki is a treasure trove awaiting discerning travelers. With a load of ancient monuments, museums, old churches listed as UNESCO World Heritage Sites, a plethora of picturesque cafés and bars, and a fascinating food scene, Thessaloniki is a great destination for a city trip. Here are some of the top attractions. Thanks to its prominent position on the city’s waterfront, the White Tower is Thessaloniki’s main symbol and most famous monument. Built in the 15th century, the White Tower was used as a fort, enhancing the harbor defenses, and also served as a garrison and a prison, which earned it the nickname of the “Tower of Blood” (Kanli Kule) or “Red Tower” during the Ottoman Empire. When the city became part of the newly established Hellenic State in 1912, the tower was whitewashed and received its new name, White Tower. From the top, visitors get to enjoy 360-degree views of the city and the Gulf. Conveniently located near the port of Thessaloniki, Ladadika is a historic neighborhood now listed as a heritage site by the Ministry of Culture. 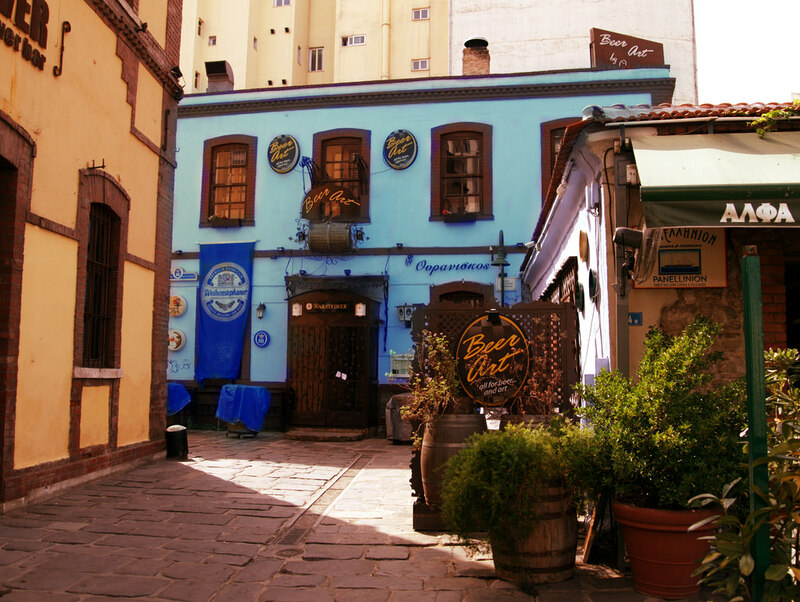 Once an area where oil shops were legion, Ladadika features 19th-century colorful buildings that exude the old charm of the city. After going through a period of gentrification in the 1980s, the district is now home to good tavernas, cool bars, and clubs. The Ataturk Museum is the birthplace and childhood home of Mustafa Kemal Ataturk, the founder of modern-day Turkey, who was born in Thessaloniki in 1881 when the city was still under Ottoman rule. The three-level house, given to the Turkish state in 1935, features many of the original furnishings. 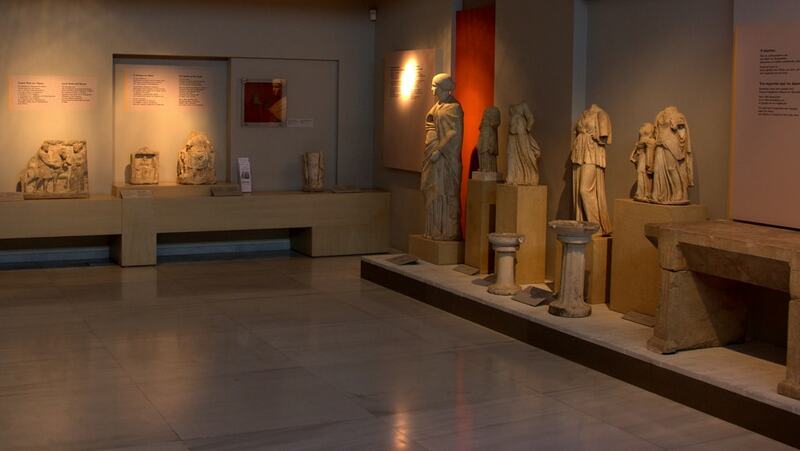 One of the largest museums in Greece, the Archaeological Museum of Thessaloniki is the central museum of Northern Greece. It’s home to the most extensive collection of artifacts from the Archaic, Classical, Hellenistic and Roman periods and highlights those found not only in the city of Thessaloniki but also across the region of Macedonia. 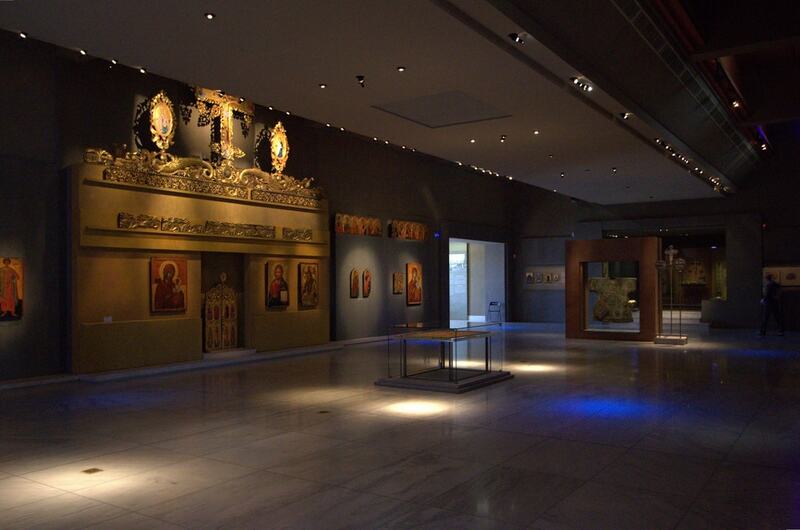 Opened in 1994, the Museum of Byzantine Culture is no doubt one of the most important museums in the city. The gallery, housed in a modern complex, includes a series of thematic areas focusing on the daily private and public life, faith and worship practices, the burial traditions, architecture and art, as well as commercial and business activities. 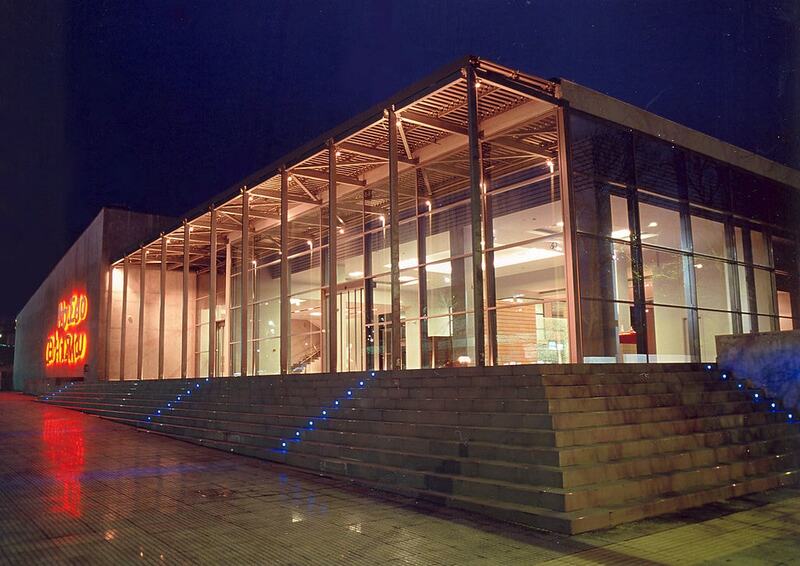 The only Olympic museum in the country, the Olympic Museum of Thessaloniki was established in 1998. Its mission is to present and preserve sports history and heritage. Home to a permanent exhibition dedicated to the Olympic Games, the museum’s collection includes historical records, items of Greek medalists, such as medals, torches, other memorabilia from the Olympic organization and athletic equipment. One of the oldest churches still standing today in the country, the Paleo-Christian temple of Agia Sofia in Thessaloniki is one of many Byzantine monuments in the city listed as a UNESCO World Heritage Site. Built in the 8th century and based on the stunning Agia Sophia in Constantinople, or modern-day Istanbul, it’s an imposing piece of architecture and features impressive wall paintings and mosaics dating back to the 11th century. Another one of the 15 Paleo-Christian and Byzantine Monuments of Thessaloniki included in the UNESCO World Heritage List in 1988, the Temple of Osios David is a late 5th-century church. 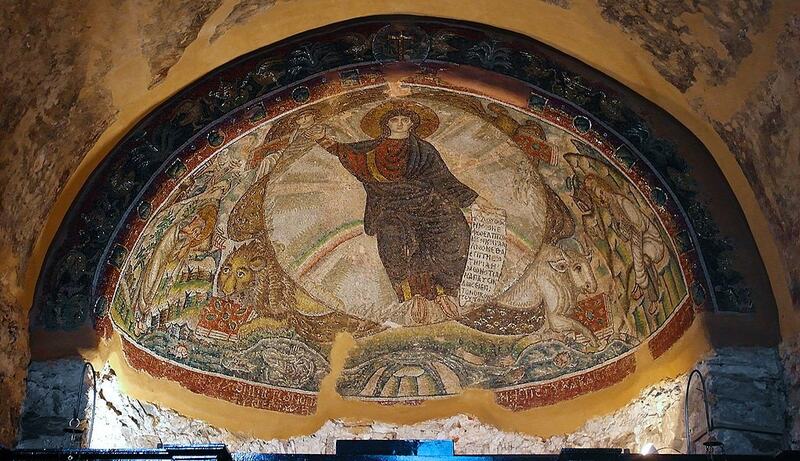 It features splendid mosaic and fresco decorations renovated in the 12th and 14th centuries. The temple then became a mosque in the 16th century, before being reconsecrated as a Greek Orthodox church in 1921. The base of the minaret is still visible today. Housed in Villa Modiano, built in 1906 by the Jewish architect Eli Modiano, the Folk Art and Ethnological Museum of Macedonia and Thrace is home to a rich collection of artifacts and remnants from these two regions of Northern Greece. The collection includes about 15,000 objects, including textiles, traditional costumes, weapons, as well as domestic articles, musical instruments, wood items and metalworking equipment. 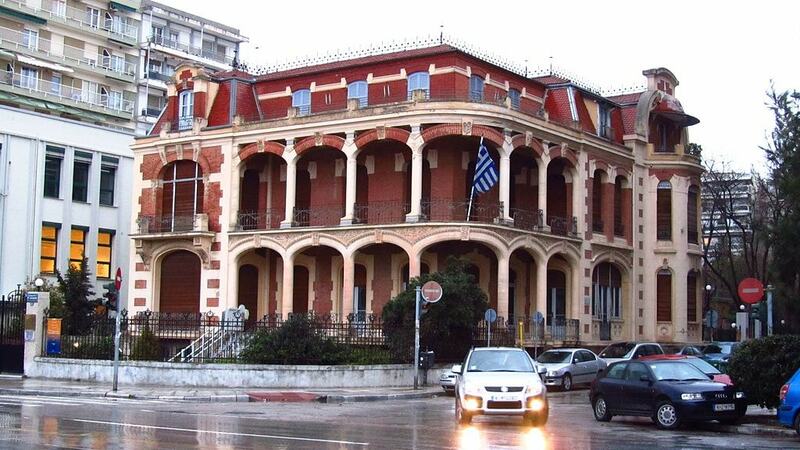 Established with the desire to represent the important Jewish heritage of the city, the Jewish Museum of Thessaloniki sits in a beautiful mansion in the center of town. Following the expulsion of the Jewish population of Spain in 1492, a significant portion of the Spanish Sephardic Jew population found refuge in Thessaloniki, reviving the city into a commercial hub. Visitors can explore this history through photographs and historical items at the museum. Up in the old city, or Ano Poli, the church of Saint Nicholas Orphanos (the Orphan), or Agios Nikolaos o Orfanos, is an early 14th-century Byzantine structure mostly known for its frescoes, which covers the entirety of the interior. The church continued to function during the Ottoman era; it was only in the 20th century that its frescoes were rediscovered and restored. The only part of Thessaloniki that survived the great fire of 1917, Ano Poli (Upper Town) is a place where time has stood still. Boasting a charming character and a unique style, Ano Poli is home to graphic streets and beautiful Ottoman-styled houses. It is where you will find the city’s main fortress (Heptapyrgion), offering spectacular panoramic views over the city. 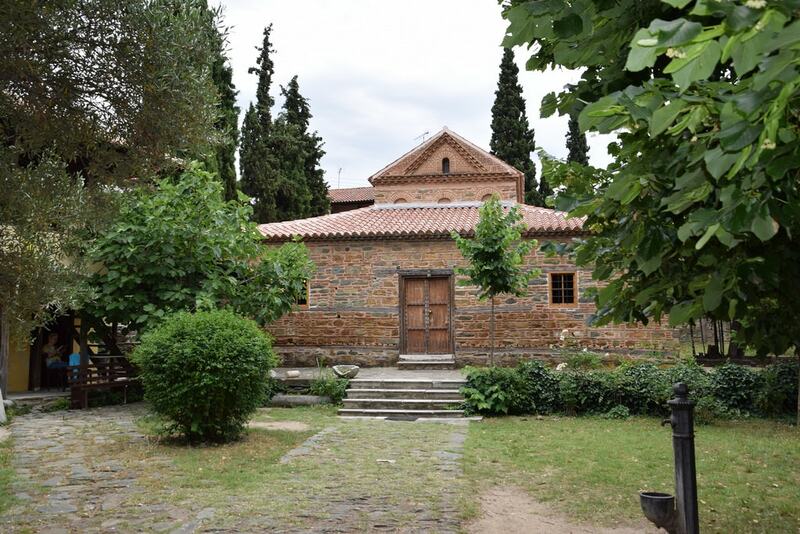 The Vlatadon Monastery (or Vlatades Monastery) is a 14th-century Byzantine monastery located in Ano Poli, near the Portara (or Big Gates), and one of the oldest and most important UNESCO-listed Byzantine monuments in the city. Empress Anna Palaiologina founded the religious community sometime between 1315 and 1371 AD, and it holds an important collection of portable Byzantine icons of historic and artistic value. Erected to celebrate the victory over the Persians in 279 AD, the Arch of Galerius was part of the palace of Roman emperor Galerius. Standing at the heart of major axes, the Arch is an important meeting point for Thessalonians. Less than 125 meters (410 feet) away, the Rotunda of Galerius (or Church of Agios Georgios) was built in 306 AD and connected to the Arch via a processional road. Its interior features splendid mosaics still visible today, and it is one of the oldest Paleo-Christian edifices in the world. A few blocks from the famous Aristotelous Square lies the ruins of the Roman Forum (or Ancient Agora), discovered by accident in the 1960s and built in the first century AD. 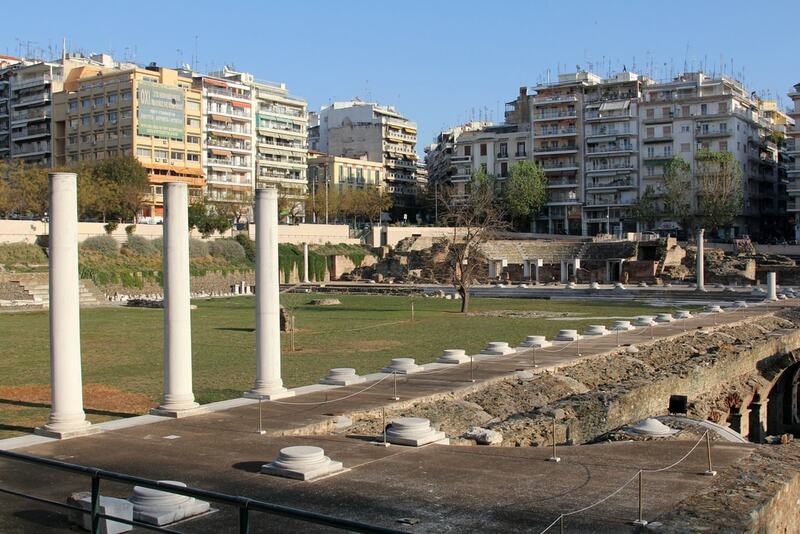 The center of the public and political life of Thessaloniki, it includes stoas, two Roman baths, as well as a small theater thought to be used for gladiatorial games. The church of Agios Demetrios (or Agios Dimitrios) dates back to when the city was the largest city in the Byzantine Empire. Built in the 4th century AD and repeatedly reconstructed due to fires, the layout of today’s church dates back to 629–634 AD. Destroyed once more during the fire of 1917, the church underwent reconstruction once again in the 1940s, this time using pieces of tombstones from the Jewish cemetery; the church was reconsecrated in 1949. Some of the excavation finds are on display in the church’s crypt. A 5th-century Byzantine church on Agia Sofia Street, the UNESCO-listed Church of the Acheiropoietos (or Panagia of Acheiropoietos) dates back to around 450–470 AD. Its name comes from the presence of an acheiropoietos (“not made by hands”) or divine icon of Panagia Hodegetria that once resided in the church. The basilica is a beautiful example of Paleo-Christian Byzantine architecture and includes a wooden roof, while the interior still shows part of its impressive frescoes and mosaics. 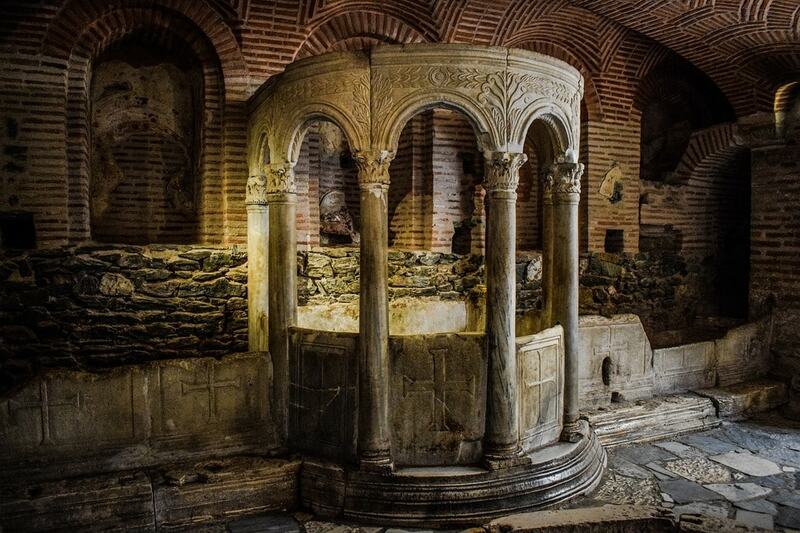 Built by Murat II in 1444 after the Ottoman invasion, Bey Hamam is the oldest of all the Ottoman baths in Thessaloniki. 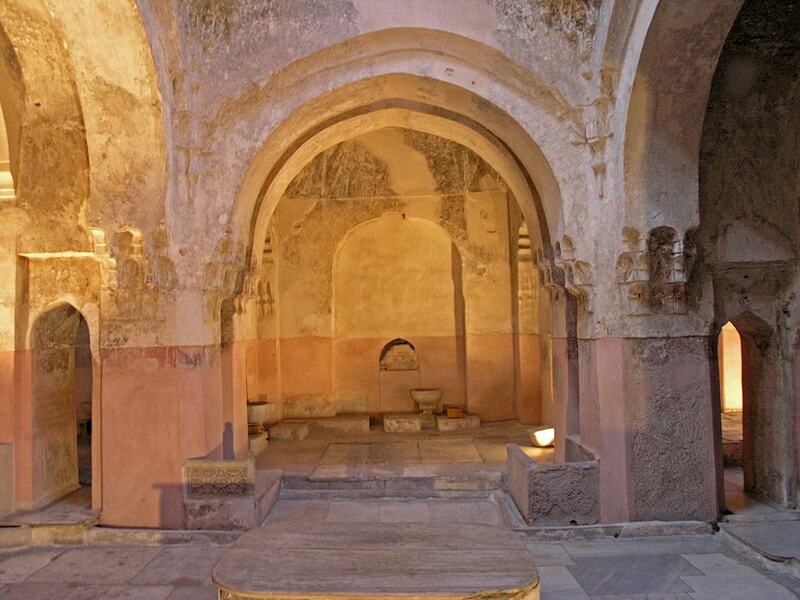 Boasting colorful wall paintings and decorations, marble basins and benches, Bay Hamam offers excellent insight into the Ottoman heritage, with baths being an integral part of the daily life at the time. The Alaca Imaret, built by Ishak Pasha in 1484 AD, had numerous purposes throughout its history, serving as a mosque, a hieratical school, and an imaret. The interior of the edifice includes wall paintings and relief elements, and even though only a small part of the original colorful frescoes has been preserved, the main dome of the building also deserves mention. The monument was named after the many small bright diamond-shaped stones (alaca) used to cover the minaret, which is no longer standing today. Although not technically a monument, the waterfront of Thessaloniki is a must-see. It covers five kilometers (3.1 miles) and includes a series of green spaces, bike lanes, and footpaths along the sea, split between the Palia Paralia (Old Waterfront) and the Nea Paralia (New Waterfront). Walk along the waters, admire the colors of the sky and observe the scenes that unfold before your eyes. You will have the chance to capture a few Instagram-worthy moments.